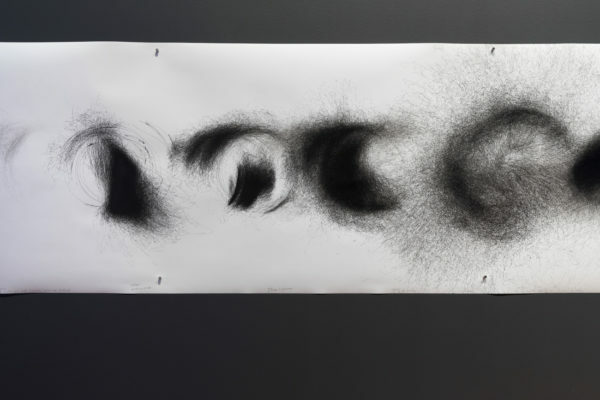 As part of the exhibition Dynamics of Air,artist Cameron Robbins will talk about his impressive ‘wind-drawings,’ each spanning five metres long. 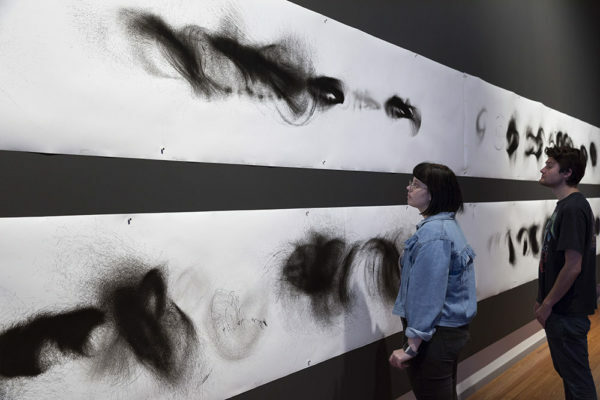 The drawings are created via a wind-powered mechanical instrument, which transcribes weather patterns into abstract storms of ink onto paper. 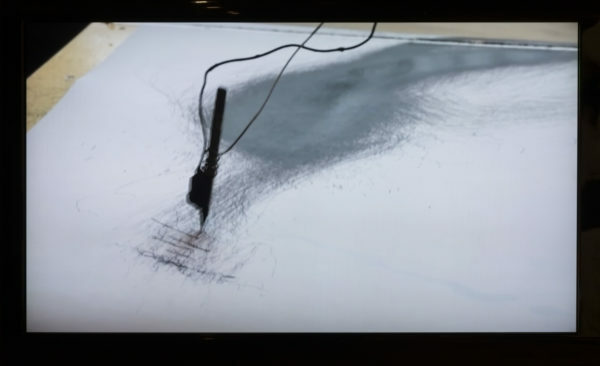 Accompanying the drawings in this exhibition is a video of the wind machines in action, capturing a symphony of pen scratchings and winding rhythms. 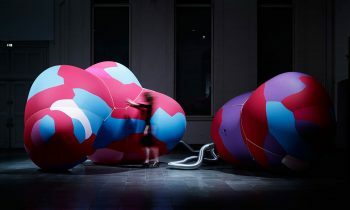 Dynamics of Air installation image,by Mark Ashkanasy, RMIT Gallery 2018. These drawings were originally installed and recorded at the Museum of Old and New Art (Mona) in Tasmania, and received popular admiration among visitors. 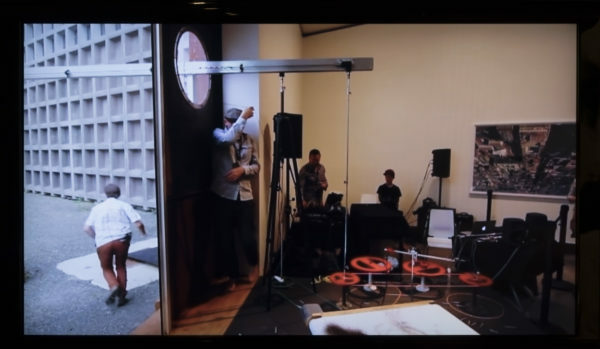 Dynamics of Air installation image,by Mark Ashkanasy,RMIT Gallery 2018.
between his own processes and more scientific methodologies. with the cultural context of Mona. 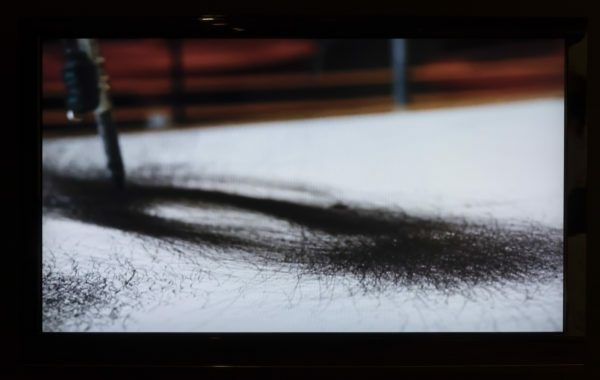 This eventually fed into his “understanding of Chaos Theory”, and “the development of cyclical, orbital drawing instruments that glimpse the underlying dynamics” of the natural world. Please book your free ticket via Eventbrite,click here! 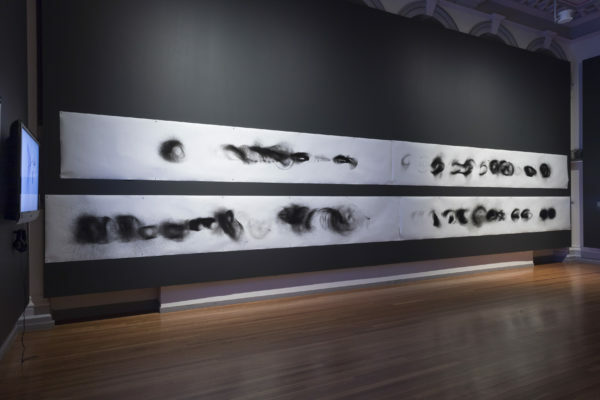 Images are by Mark Ashkanasy,RMIT Gallery,2018.